With the selection of walnut trees available online at Dobies of Devon, you can grow tasty nuts for snacking and cooking purposes at home. 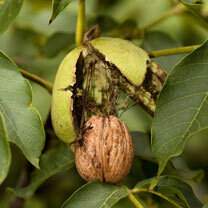 All of our walnut trees for sale are exceptional quality, providing the wholesome, flavourful nuts. Shop with confidence and place your order online today. Need to know dispatch times? Our handy dispatch schedule will help. For other options, check out our full range of fruit trees.